New Harmony, Indiana, (Population 915) is a small historic town located on the Wabash River in southwestern Indiana. During the early part of the 19th century, New Harmony was the site of two attempts to establish Utopian communities. The first, Harmonie (1814-1825), was founded by the Harmonie Society, a group of Separatists from the German Lutheran Church. Led by their charismatic leader Johann Georg Rapp, they left their first American home in Harmonie, Pennsylvania, and established a second community on the western frontier of Indiana, where they acquired a much larger tract of land. During the 10 years in which they cultivated the new town of Harmonie, the Harmonists, with their strong German work ethic and devout religious rule, achieved unheard of economic success and the community became recognized as “the wonder of the west.” Slightly more than a decade later, however, they sold the town and surrounding lands to Robert Owen, a Welsh-born industrialist and philosopher, for his communitarian experiment. The Harmonists then returned to Pennsylvania to build a third town, Economy, near Pittsburgh. Robert Owen’s ambition was to create a perfect society through free education and the abolition of social classes and personal wealth. He encouraged world-renowned scientists and educators to settle in “New” Harmony. With the help of his partner, William Maclure of the Academy of Natural Sciences in Philadelphia, the Owen/Maclure community introduced educational and social reforms to America. 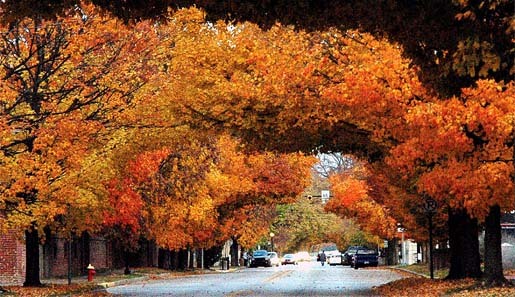 Today, residents and tourists alike enjoy the slower pace of the town’s opportunities for dining, shopping for antiques, visiting art galleries, and admiring the quaint surroundings where even the architecture pays tribute to a blend of the past and future. 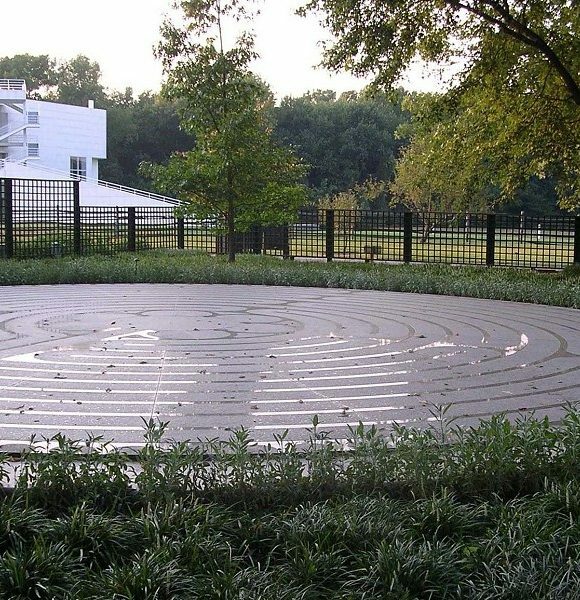 New Harmony has become known for its many gardens, sculptures, restored historic buildings and public spaces designed for quiet contemplation and spiritual renewal. Visitors from all over the world come to experience the town’s legacy of creative endeavor which has spanned nearly 200 years. They discover a distinctive rural village, where the simple wooden structures of the Harmonists, blend with modern architectural masterpieces on quiet tree-lined streets. Local preservationists and town officials acted early on to secure control in the public interest over substantial parts of the town’s central Historic District, thus creating a village museum and preservation project that has been a center for culture and learning. New Harmony is a vacationer’s dream and a researcher’s paradise with twelve buildings from the early nineteenth century and twenty buildings from the mid-nineteenth century, including a museum, library, gallery and opera house. Guests to the town will find comfortable accommodations from which to choose. Selections range from an upscale, modern inn to historic guest houses and intimate bed and breakfasts. Camping sites and rustic cabins can be reserved at the nearby Harmonie State Park. Guided tours to historic sites in New Harmony begin at the Atheneum Visitors Center at the west end of North Street. New Harmony is governed by a Town Council of five elected members. The New Harmony Town Plan and Historic Preservation Commission is comprised of seven appointed members.